October hasn’t quite lived up to its promise of volatility in the past, where it’s shown moves as much as -26% or +17%. This time we got just 0.2% on the Nifty taking the year 2016 to about 8.5% return on the Nifty. 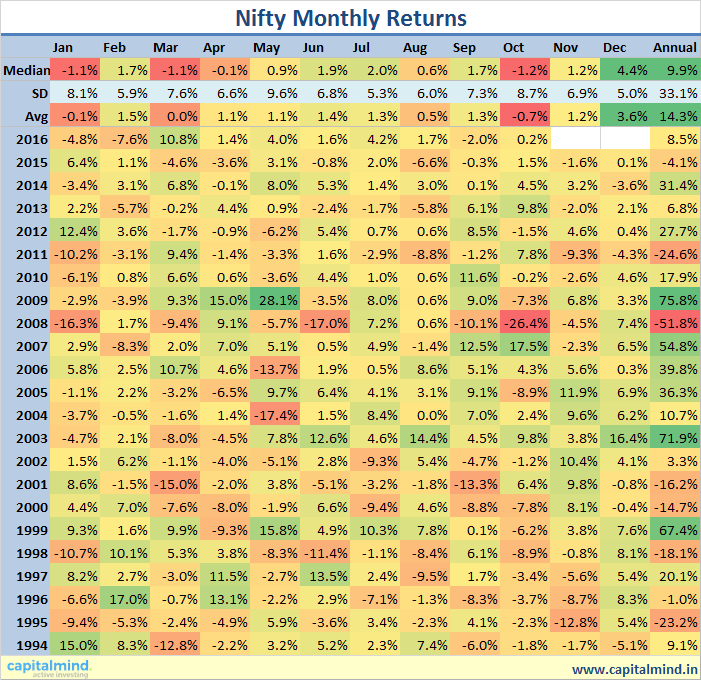 A monthly investment into the Sensex (or the Nifty) has now fallen into single digit returns on average. Your return on a fixed income instrument is likely to be lower after taxes. 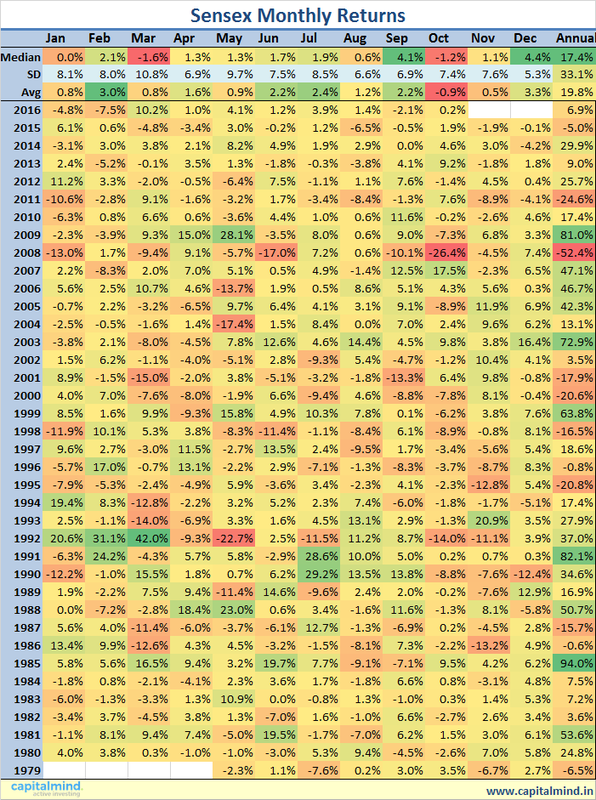 Since many mutual funds have beaten the index (plus dividend yields of 1.5%) you will probably have seen more returns with funds. 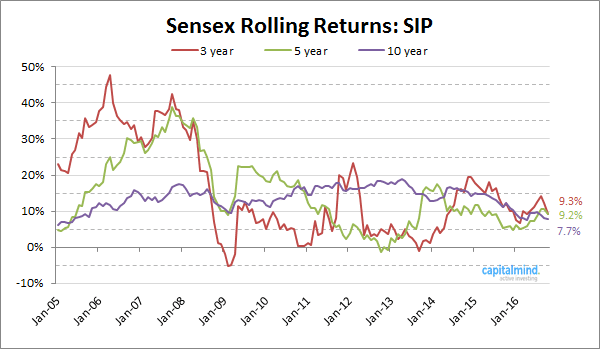 We’re just making a note and perhaps its useful to note the long term SIP returns for funds too.